Incorporated in 1972, Syamaltra group, formerly known as Syarikat Malaysia Trading, made its entrance into the school book supplies and educational products distribution industry. Operating at a single storey house located at Petaling Jaya Old Town, Syarikat Malaysia Trading supplied its products mainly to schools within the Klang Valley areas. Within ten years time, business progressed smoothly and as the market needs for stationery products grew, Syarikat Malaysia Trading further developed its distribution business into stationery wholesaling in 1983. During the same year, Syarikat Malaysia Trading changed its name to Syamaltra Sdn Bhd. Over the course of the years, Syamaltra Sdn Bhd, with its wide range of product varieties and unparalleled services, had successfully extended into various territories throughout Peninsula Malaysia as well as East Malaysia. To cope with its rapid development, Syamaltra moved into a four storey building solely owned by Syamaltra in 1990. In view of the growing needs for the fine art and graphic materials, Syamaltra Sdn Bhd marked a milestone in its distribution business by venturing into the fine art and graphic/technical distribution industry in 2003. 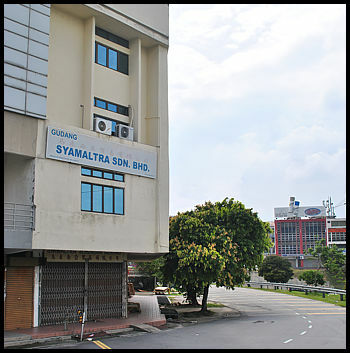 Syamaltra AGS Sdn Bhd was established in 2003 to handle the art materials distribution and stationery wholesaling division, whilst Syamaltra Sdn Bhd handling the school books and stationery supplies division. Throughout the years, with the aspires to provide wide product selections combined with premium quality to its customers, Syamaltra AGS is now one of the largest distributor of fine art and graphic materials in Malaysia. Syamaltra AGS has been constantly improving its product range and varieties, and at the same time, Syamaltra AGS has also been continually looking for superior and quality products. Currently, Syamaltra AGS has an extensive line of high-end niche-market and mass-market products.